I wanted to share some very special news! We have the rare honor of having soldering jewelry artist Stephanie Lee teaching Hand-Forged|A Metal and Torch Soldering Jewelry Course! 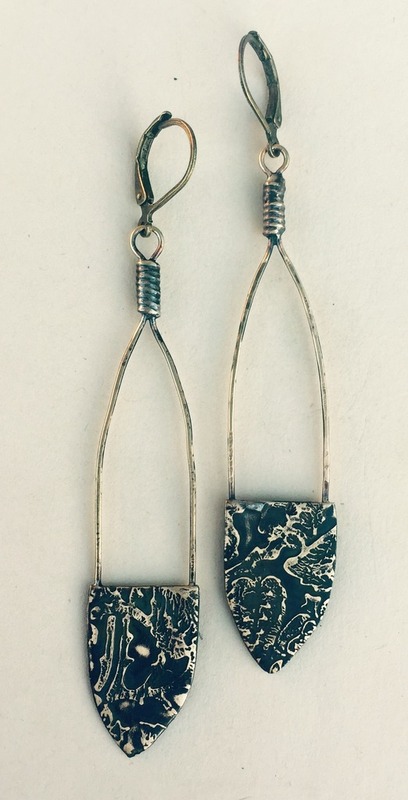 Stephanie is a pioneer in the metal and soldering jewelry world. Many techniques that are now common among soldering artists was introduced by Stephanie. This is a very rare treat for her to teach her jewelry techniques online! 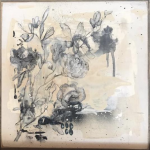 I am honored to have her teaching and bringing such quality and beauty to our creative network. 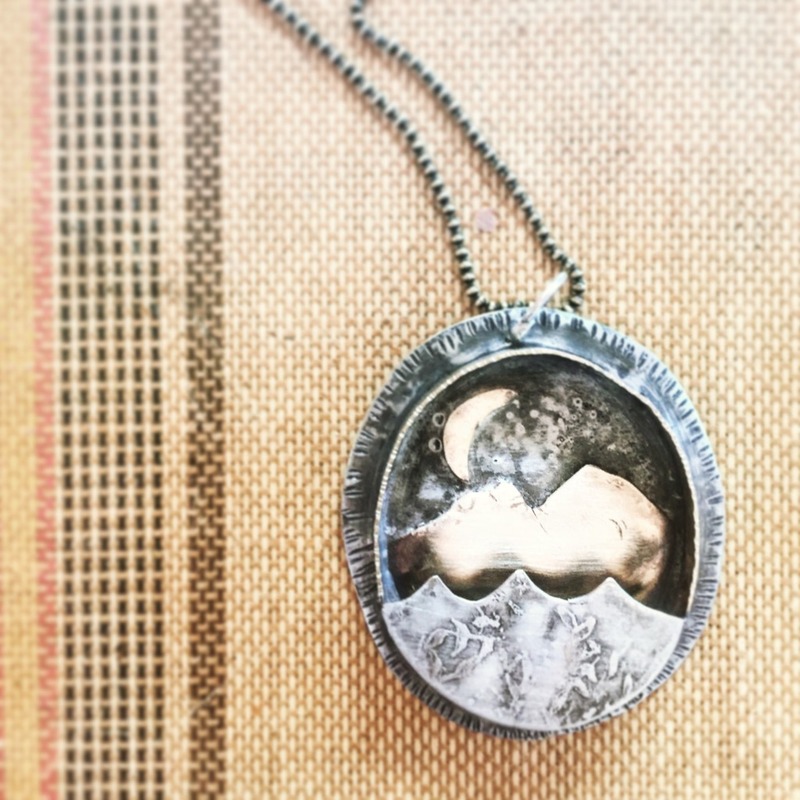 If you’ve ever wanted to create jewelry with personal meaning, beautiful texture, and luminous personality, this course is for you! 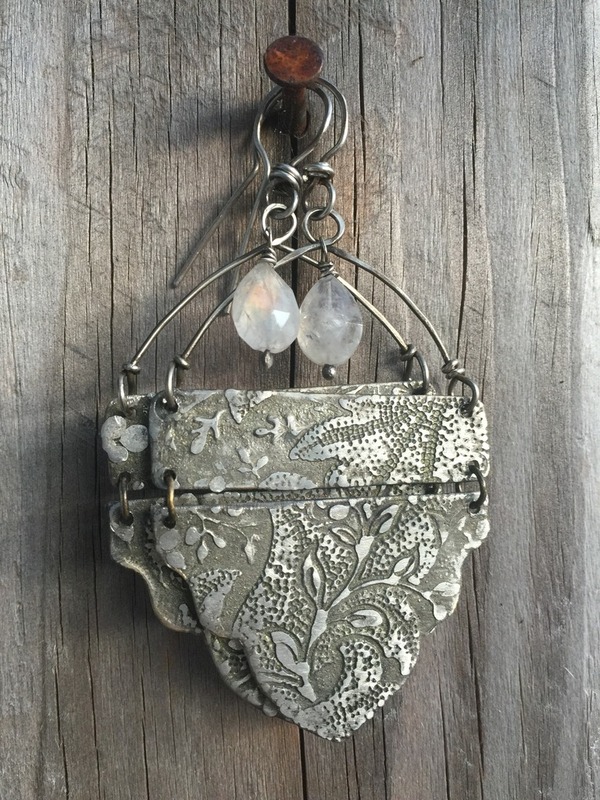 Through this three-piece jewelry project making course, you will learn a wide variety of techniques that you can easily translate into other jewelry forms and applications. 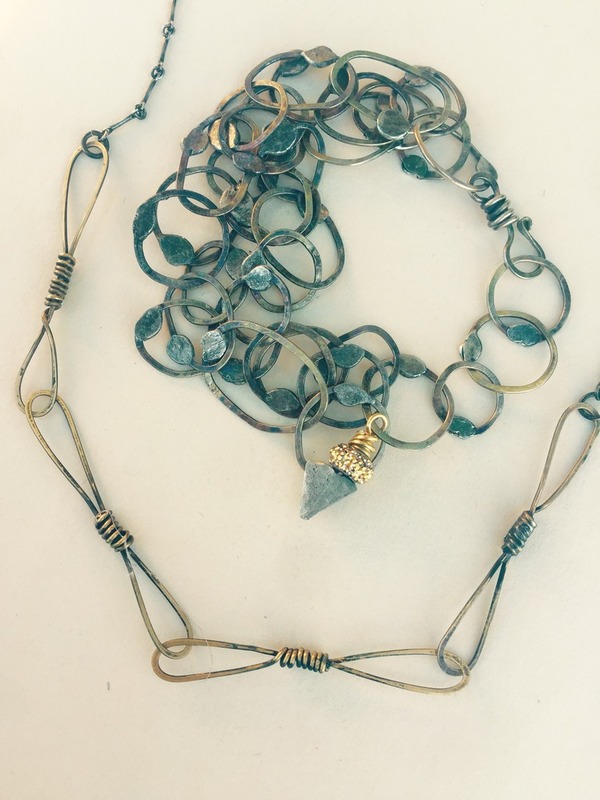 You will explore methods of forming wire into custom chain (with and without torch methods) as well as beginning to end construction of a necklace, bracelet/cuff, and earrings. 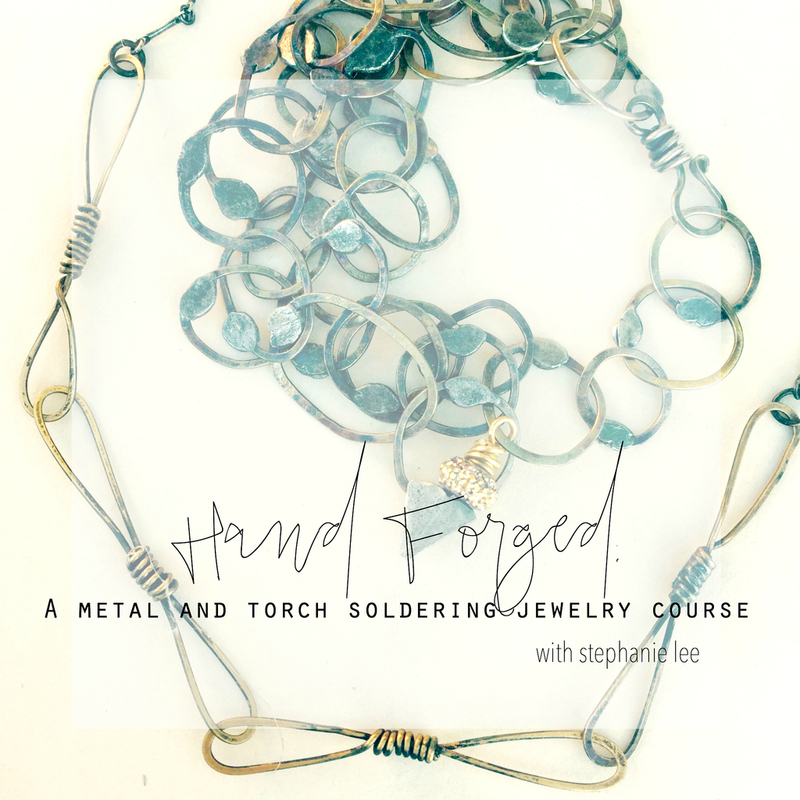 Using my signature torch soldering techniques, you will learn how to form, forge, shape, and combine sheet metal and found jewelry components into texturally rich, exquisitely one-of-a-kind jewelry pieces. Hand Forged will begin on September 12, 2016, have 4+ hours of content and lifetime* access. The early registration price is $32. Is there a preview video and a supply list? It would be nice to know before I sign up if it takes a special torch or if a soldering iron is used instead.